Wishing you peace, joy, prosperity and happiness. Here's hoping your new year is filled with all that makes your heart sing! IF YOU OR SOMEONE YOU KNOW NEEDS REIKI HEALING, KEEP READING. On the THIRD WEDNESDAY OF EVERY MONTH We provide free Reiki Healing for people with chronic conditions, illness, or facing intense life challenges. (Non-Reiki Practitioners can be patients/recipients). We welcome all Reiki folks from all Reiki schools or training to join us in volunteering Reiki for people in need. All Reiki volunteers will sit down to meditate together at 6:30 pm. After our meditation, we will give Reiki to 1-4 patients throughout the evening. Patients arrive at 7 or 7:30 pm depending on appointment time. Each patient will receive Reiki for approx. 30 minutes. Afterwards, Reiki volunteers can give and receive Reiki to each other. You'll be blissed out ! We should be finished between 8:30 -9:00. 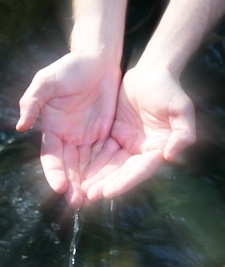 The Reiki volunteers enjoy giving the gift of Reiki as much as the patients receiving it. Whether you are a new Reiki light or a seasoned practitioner, there is a welcomed place for you. You can either beam Reiki to the patient while you are seated in a chair or you can choose to sit at a patient's head or feet. Whatever you choose, you will become very relaxed and peaceful as you share the beautiful light of Reiki with someone in need. Please contact Janet Jackson, in advance, if you can volunteer reiki or refer a patient. 724-244-4471 or Janet@TheEnergyConnection.net. Love offering donations are greatly appreciated. Empaths and Relationships with Peg Whitehouse, RMT “The right love relationship empowers empaths”… Are your present relationships supporting your needs? Perhaps you are seeking new relationships that feel more compatible with your empathic nature? Setting boundaries and avoiding overload are primary essentials of the sensitive personality. In this class we will explore common empathic relationship challenges and the necessary adjustments for success. Also you will learn how to identify energy draining people who are attracted to your openness and loving heart and learn how to avoid being depleted. There is balance for the empath! 6:30 - 8:00 pm Cost $25. Please text or call Peg Whitehouse, 412-916-7067 to register.